The Envelope Campaign is a fundraiser designed for the parishioners of our supporting parishes. Summerville Catholic School cannot operate without the help of the surrounding parish communities, as we are one community in Christ. Catholic education fosters faith-filled communities and instills service to others. Simply put, Catholic education is the core of the Catholic faith. What makes the Envelope Campaign unique is that every donation is linked directly to closing the deficit related to the cost of education. 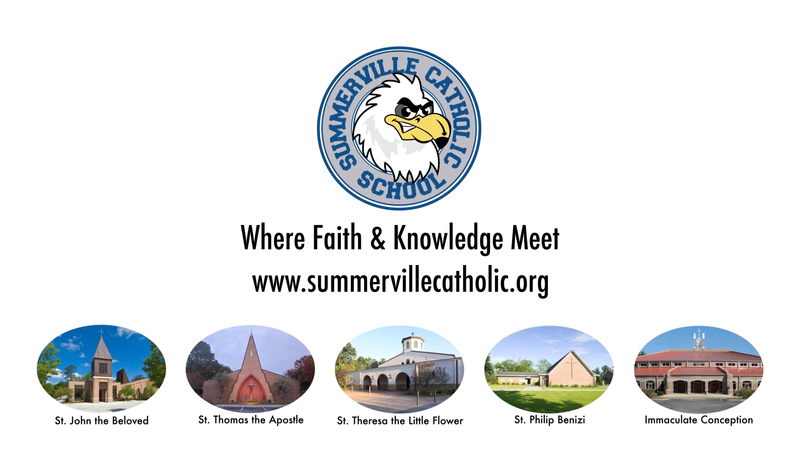 The actual cost to educate a student attending Summerville Catholic School is $7,880.06, while tuition is only $5,670.00. This leaves a $2,210.06 deficit per student. There is an envelope for every student attending Summerville Catholic School. Current enrollment is 172, so there are 172 envelopes each labeled 1 through 172. Donators are asked to pick an envelope and return it with the amount indicated on the envelope. Ex. If you select envelope labeled 89, you would donate $89 to Summerville Catholic School. Select your Parish and make a donation today!